The Marigold flower is a symbol of joy and celebration in many cultures. Marigold plants are also used for medicinal purposes and used as pigment in yellow paint. The artist, Silke Kästner, invited people from the neighborhood of Corona, the Museum, and the stores around Corona Plaza to report one of 1,200 plants and take the plant home with them as a temporary guest for two weeks. Participants then brought plants back to Corona Plaza on the 14th of June, for the Corona Cares Celebration. On this day the flower pots were affixed to the perimeter of the fence, creating an ephemeral painting. After 2 weeks, participants were invited to remove the plants and take them home with them. For the artist, the project is a kind of model for society, where responsibility and property are shared, but it is also a space where communication and exchange can happen. To visualize this exchange, we asked that participants document their experiences hosting the plant via notes, photos, sketches, or any other means they choose. The combined documentation is exhibited as a slideshow in the Queens Museum of Art elevator from July 13 – September 15, 2008. The artist collected seeds from these plants and has created a limited edition of 250 seed packets for viewers to take home and continue the spirit of exchange and nurturing. Silke Kästner is a visiting artist from Berlin, who combines abstract painting with social exchange. This project is in cooperation with the Queens Museum of Art, community partners in The Heart of Corona Initiative, and NYC Parks Department, with generous support from Western Union. 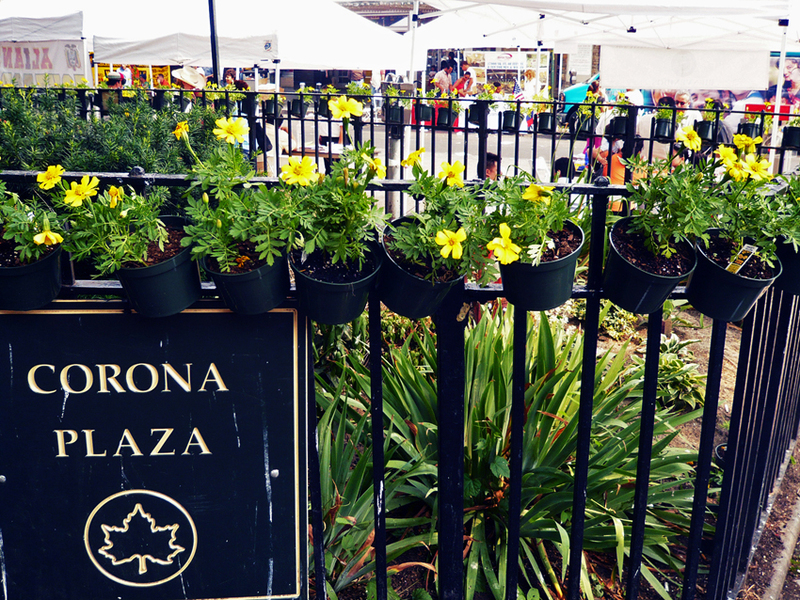 The Heart of Corona Initiative is a partnership of various Corona residents, businesses, health institutions, elected officials, CBO’s and the Queens Museum of Art to: beautify and activate Corona’s public spaces; improve the health and well-being of the community; and attract attention to Corona’s numerous cultural and social assets. The Initiative is funded in part by The Ford Foundation and The Institute for Museum & Library Services.